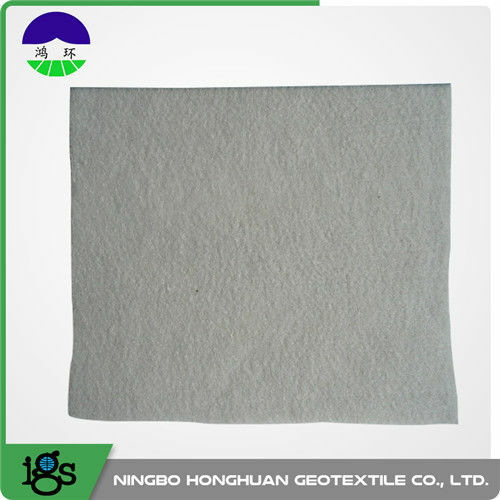 Nonwoven geotextile has excellent water permeability, filtration and wear resistance. It is widely used in railway construction, road construction, gymnasium, dike, marine works, tunnel, reclamation and environment protection projects. 1. 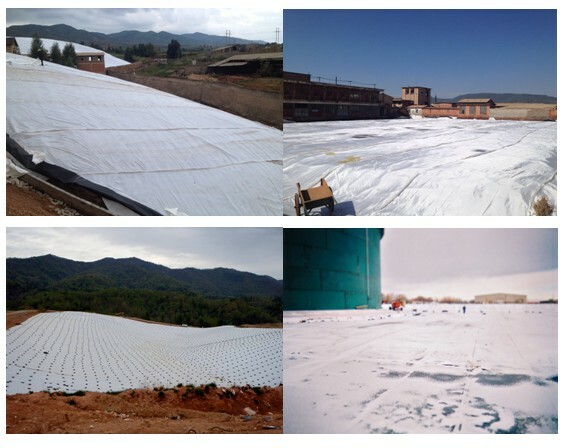 With good porosity and water permeability, the geotextile allows the passage of water and effectively retains soil and gravel. 2. With good water conductivity, the nonwoven geotextile forms a water discharge channel in the soil and discharges redundant liquid and vapor in the soil. 3. By enhancing the tensile strength and anti-deformation performance, the geotextile increase the structural stability of buildings and improves the soil condition. 4. It can effectively diffuse, transmit of allocate stress to prevent external force from damaging the soil. 5. It can avoid mixing of upper and lower gravel courses or the mixing of soil and concrete. 6. There is rare chance of mesh orifices being blocked because the mesh made up of flexible fibre is adaptabe and moveable. 7. High water permeability. It maintains good water permeability under the stress from soil and water. 8. Corrosion resistance. Made of chemical fibres like polypropylene and polyethylene, it is resistant to acid, corrosion,worm and oxidization. 9. Application is convenient due to light weight and convenient handing.